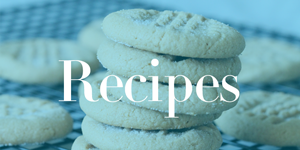 Home / Savings Blog Posts / Recipes / Easy Dessert Recipes / Homemade Oatmeal Creme Pies Recipe! Check out this Homemade Oatmeal Creme Pies Recipe! This Homemade Oatmeal Creme Pies Recipe is perfect if you are planning a New Year’s Eve Party or Super Bowl Party! This is a great party recipe for entertaining friends and family! Plus, these could be a great snack idea for your kids! Nothing says Home Sweet Home like milk and cookies! If you love Easy Dessert Recipes, here are even more you can try! Plus, be sure to try this Easy Salted Caramels Recipe! This is a fun treat recipe or dessert recipe! Caramels are one of my favorite desserts, and you could even make these Chocolate Covered Caramels! If you want to try a Chocolate Covered Dessert, be sure to grab one of these Wilton Melting Pots! These are on sale down from $34.99!! Receive Free Shipping with Amazon Prime, or Free Super Saver Shipping on orders of $35 or more! 25 Stocking Stuffer Ideas for Babies & Toddlers! 25 Gift Ideas for Pets!